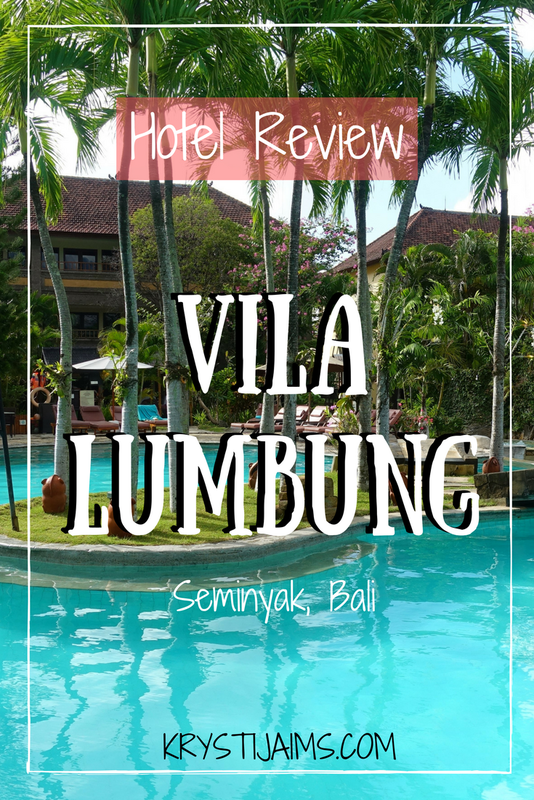 My final night in Bali was spent at the luxurious Hotel Vila Lumbung in Seminyak, which was the perfect way to finish my wonderful time here. This secluded boutique Seminyak resort was like walking into a slice of Ubud. Tucked away from the streets, away from any noise, it instantly felt relaxing. I was warmly greeted in the grand open lobby by the friendly staff and presented with a refreshing welcome drink. The check in process was smooth and I had my bags taken for me and shown to my room. The lush tropical grounds are beautifully maintained and there is a two-level swimming pool as an impressive central feature which made my eyes pop when I saw it! I was very excited when I was shown my room. 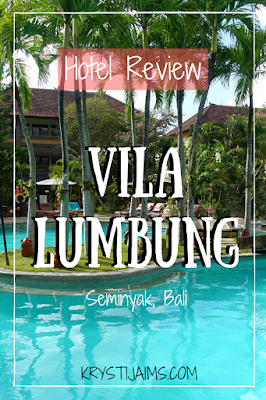 The villas are made in exotic 'Lumbung' style with Balinese wooden roofs. Located on the far right end of the resort, I had the deluxe family room and it was incredible. Outside was a front patio with table and chairs, through the sliding doors was a large and comfortable double bed. The room was tastefully designed and decorated in exotic Balinese decor. It was fitted with air conditioning, good wifi, a safe, seating areas, a widescreen tv, a fully equipped kitchenette with tea and coffee making facilities, an attached sunroom that could be used for an extra person, wardrobes with gowns and slippers, and probably my favourite feature - an outdoor garden bathroom! I have never had an outdoor bathroom before and it was absolute goals! The garden was very private, with extra shades to pull down if you wish. There is a large shower and bath and the vanity cabinet was equipped with every toiletry you could possibly want for. It was a surreal experience and one that I thoroughly enjoyed! There are many other types of rooms to choose from to suit a variety of needs, including Superior and Deluxe rooms, perfect for couples, and even grand 3-bedroom villas, perfect for family vacations. A large beautiful swimming pool surrounded by loungers, umbrellas and lush greenery is my ideal way to relax! Connected by walk-over bridges is the swim-up pool bar with daily drink specials, a waterfall, cave, outdoor chess set and whirlpool. The resort offers many facilities to make your vacation perfect including a beautiful spa studio with many beauty treatments and a convenient fitness centre. There is also laundry and dry cleaning services, a 24-hour on-call doctor, money exchange, a tour desk, meeting room, children's playground, babysitting services, wedding packages, restaurant and bar. The beautiful grounds would be the perfect location for a destination wedding! 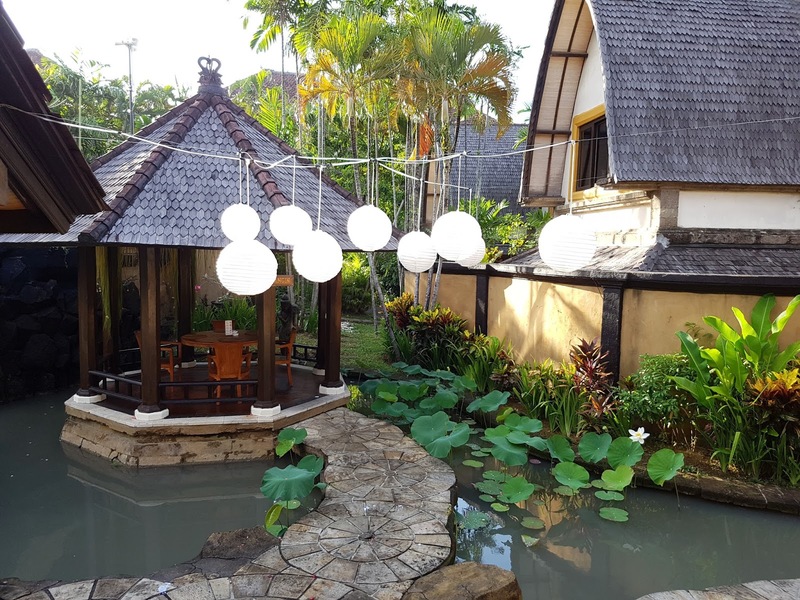 The Lumbung Restaurant offers both Western and international cuisine in a very delightful setting under the big wooden roof alongside the pool. I happened to be there on Barbecue Night where you could pick a selection of fresh fish, sate meat and seafood kebabs to be fan-barbecued directly for you. There was also a large buffet with many choices of sides including soup, rice, bread, vegetables, salads and desserts. A live quartet band was pleasantly playing music and singing which made for a wonderful dinner atmosphere. The food was delicious! There are even two private dining areas surrounded by lotus ponds if you wish to have a romantic date. A daily buffet breakfast is also included in the room with a large variety of options to choose from. You can have eggs made to order, fresh pancakes, juices, fruit, cereals, pastries, tea and coffee and further hot and cold food choices. It was an excellent way to start the day! Reviews: Certificate of Excellence and 4/5 stars from 1040 reviews on Trip Advisor. Price: Starts from $100 AUD a night for a Superior room. I thoroughly enjoyed my stay here. Being surrounded by the lush tropical environment and away from the busy streets was so tranquil. The generous staff were all very friendly and helpful and looked happy to be there. 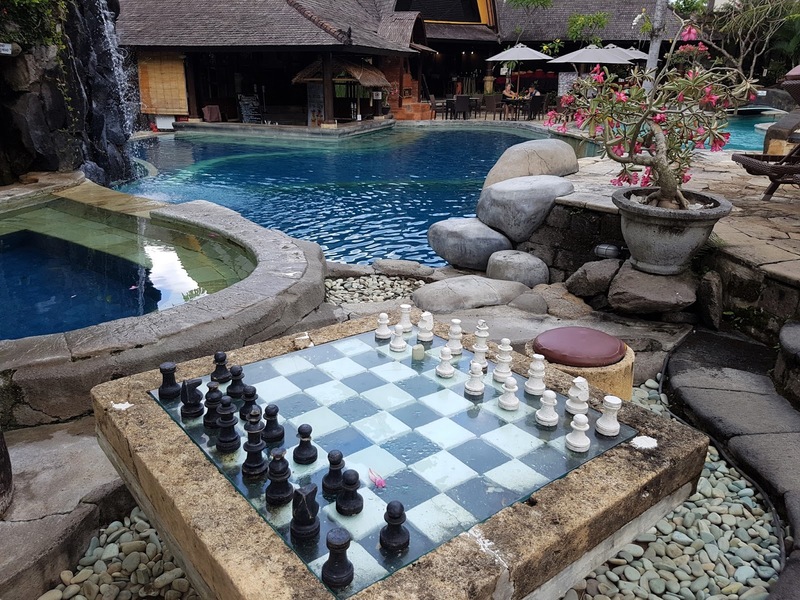 The resort is in a great location, only a 10-minute walk to the beach and to the popular hotspot Potato Head Beach Club or a 5-minute drive to Seminyak Square, and there are plenty of good cafes and shopping in the area. My room was perfectly comfortable and I could have happily stayed there for weeks! With the gorgeous pool, great restaurant, spa and pool bar, Vila Lumbung is the ideal place for a relaxing vacation and would be an excellent choice for every type of traveller from couples looking for a romantic getaway, to friends and big family groups. I highly recommend this resort and would definitely stay again. Disclaimer: My stay was complimentary in exchange for an honest review. All opinions are as always my own. This resort looks like paradise! Looks like a great resort, the room looked peaceful and that tub was amazing. The resort is really amazing. 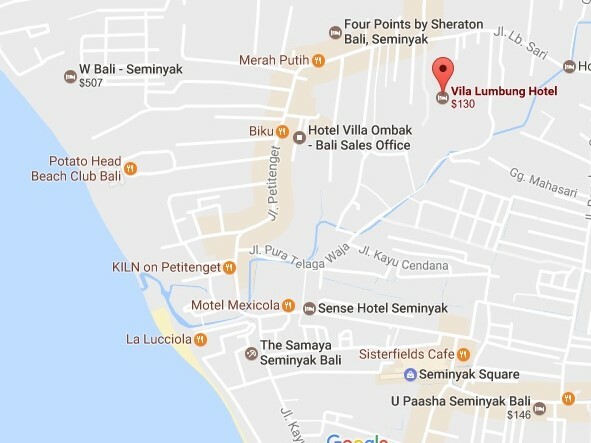 I was actually looking for a resort in Bali for a summer vacation. I chanced upon this resort while searching and I almost like this except that there's no direct access to the beach. Everything else, I really love. I absolutely fell in-love to your pool and your bathtub. Its superb! The resort is beautiful! So glad you had such a good stay here. It is always great to have a great place to stay when traveling. It makes traveling that much easier and enjoyable.